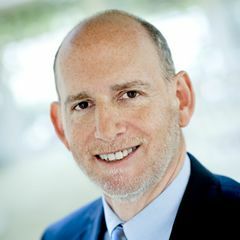 Drug Policy Alliance czar Ethan Nadelmann shocked the cannabis community after announcing in late January that he’s stepping down as head of the influential organization. Many wondered how the longtime drug policy reform advocate could leave during such a tumultuous period for the industry, but he believes the timing is right for all parties. Nadelmann, who turns 60 in March, said he was ready for a change. He began advocating for drug law reform in 1987. Then, in 1994, he founded the Lindesmith Center, which merged with the Drug Policy Foundation in 2000 to create the Drug Policy Alliance. During his tenure, he has helped turn DPA into one of the nation’s most influential drug reform organizations. Nadelmann was involved in the passage of the first state medical cannabis law, in California in 1996, as well as the ballot measure legalizing recreational marijuana in the Golden State in November. But now he’s on his way out, with plans to vacate the DPA executive director’s chair by the end of April. The timing of your decision to step down from leading DPA is interesting, given the election of Donald Trump and that the GOP controls Congress. Why leave now? There were dozens of variables in my making this decision. Nobody thought it was time to go. I set the wheels in motion before the election, with the assumption that the person sitting in the White House was not going to be Donald Trump. When (Trump was elected), I had to step back and rethink, “Is this a reason to reconsider my decision?” And I decided it was not. I’ve been running DPA for 17 years, taking it from where it was basically just me to now an organization of 70 people. There was this sense of my feeling a bit fatigued with running and building DPA, and the sense the organization and my colleagues are experienced enough – DPA has people who have been here for well over a decade. Trump is the greatest threat to America’s security and democracy and our constitutional values since the Civil War, and his initial steps (as president) do a lot to validate that view. Yes, I would have much preferred (to be) stepping down with Hillary Clinton in office and the Democrats in control of the Senate, but it was not sufficient reason for me to (reconsider leaving). I’ve been meaning to write a book about drugs and drug policy for 30 years, and I haven’t done it. I look forward to speaking more publicly, both in the U.S. and internationally. I look forward to having more freedom to speak on issues beyond drug policy. We’re already seeing some state-level policymakers slow down on MJ reform because of uncertainty on Trump’s approach toward marijuana. Do you expect that to continue? My guess is there is some risk of that, especially on the state legislative process. Because some of the best legislative prospects are in states that are bluer, we have some reason for concern. But not quite so great as in the redder states, where you have political leadership that is more aligned with Trump. The silver lining in all of this is the marijuana industry is already beginning to get real about the role they need to play. In some states, players in the industry have stepped up, but have done it in a more opportunistic or self-serving way. This is a kind of come-to-Jesus moment for the industry. What I’m already seeing is the recognition they need to put real money into defending not just their specific interests but in taking this on at a national level, and that they need to collaborate with (organizations like DPA) at a much higher level. Do you see DPA’s role going forward as more on the state legalization front, or more of a focus on national policy? Keep the ball moving down the field on marijuana legalization, at the state level, federal level and international level. Advancing the California model, advancing MJ legalization in ways that include elements of social justice and fairness and diversity in this industry. There’s a decent chance that a Democrat who supports MJ legalization will be the next governor of New Jersey, so we’re fairly optimistic about things moving forward in 2018. In New Mexico, we’re hopeful there will be a sympathetic governor in place in 2019, and there’s a possibility of (legalizing rec MJ) through the legislature or referring it to the ballot. In New York, as (Gov. Andrew) Cuomo has swung somewhat to the left, there’s a sense that there may be a possibility there. Those three states are key. In addition to that, all eyes are on Michigan. DPA and Marijuana Policy Project and local activists are already beginning to work on drafts in Michigan for an initiative in 2018. Any departing words of advice for the industry? I’ve been warning for a number of years against overconfidence. And with Trump’s election, I think that warning has kind of sunk in. Players in the industry really need to step up and look at their collective interests in fighting for what’s been won and in pushing forward. To some extent, so many players in the industry have spent most of their money both on fighting for their own licenses and sometimes limiting the number of licenses other people can get. And it’s understandable that they’re competing with other people for market share, but I think what’s sinking in quickly is that there better be collective action to fight off what could be coming down the pike, and to keep this thing moving forward. Outside of Jeff Sessions’ comments what makes him believe Trump won’t be favorable towards marijuana. I believe he will take a states’ rights approach to marijuana and will take the lead from Congress. If the Republicans are antagonists regarding marijuana policy they will lose the midterms. The public sentiment is against anyone coming down hard on marijuana legalization. I agree. I don’t believe Trump has a strong oppose on the industry. Trump speaks money, if there is money to be made he wants a cut. I believe states will give him hell if he tries ridiculous regulation on the industry. I do agree with Nadelmann, those in the industry need to come together more under collectives. If not, it’s going to be YOU v.s. THEM v.s. US and no one will win. I totally disagree with Ethan Nadlemann statements about our current president Donald Trump…… end of story. I agree with Ralph Trump will will push from behind, there is to much money, to many jobs and the bonus for him to cut Mexico out of the US market for MJ. The federal could make enough in taxes in one year to pay for his wall, he is to smart to see the up side will stand aside.